September 11 of that year saw thew release of Atari’s VCS (2600). It is credited with popularizing the use of microprocessor-based hardware and ROM cartridges containing game code, a format first used with the Fairchild Channel F video game console in 1976. The unit was originally priced at US$199 ($777 adjusted for inflation), and shipped with two joysticks and a Combat cartridge (eight additional games were available at launch and sold separately). So while there were some tragic events that have come to pass on September 11th in our history, not all those event were tragic. 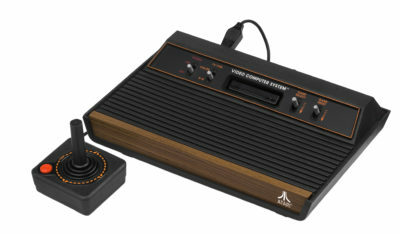 I personally recall many days sitting at my school desk, or in detention for day-dreaming of the day that I might have my hands on an Atari 2600. Then one day in the very early 80’s I did – and nothing was ever the same again! The console released with only eight games available, and they ALL flew off the shelves. Only PONG preceded this cutting edge device (1974). The VCS console brought multiple games that were recognized in the arcades directly into the homes of consumers. ← Holy water batman! Are you doing it wrong?